Its not easy being an #art robot, but hey its what I'm made for! Unsurprisingly Me and Bender have a lot in common. 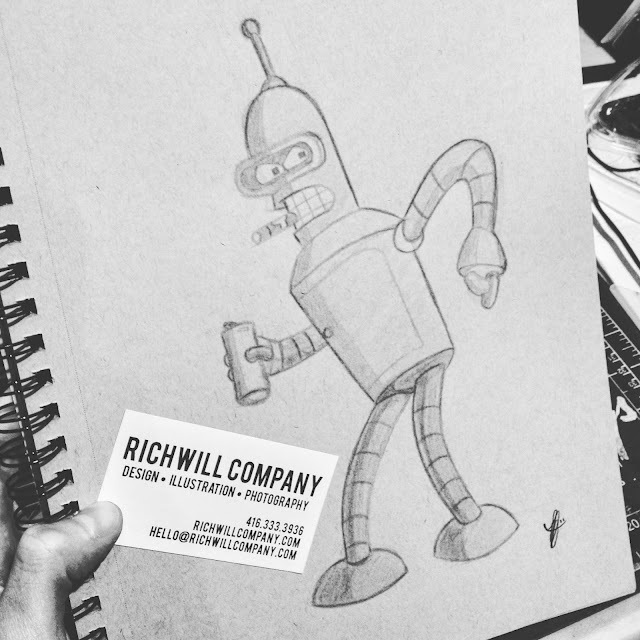 Free Worldwide Shipping on RichwillCompany.com's Society6! Use the link on the Home Page to Activate the Promo! Offer expires October 11th @ midnight Pacific! !